Text and images by Lindsey Johnson for Design Mom. Picnics are one of my favorite things about summertime — both spur-of-the-moment sandwiches on the lawn, and well-planned out feasts. What’s not to love about sitting out in nature, enjoying some company and a plate full of delicious food? Every time I watch one of those addictive British period dramas (I’m looking at you Downton Abbey), I’m always fascinated by the lavish picnics depicted in the stories. The servants carry the silver and crystal along, as well as chairs and tables, tents, and a fancy multicourse meal. It all looks so dreamy and magical and I want to transport myself into the television and join them. In reality, our family picnics are mostly of the last-minute variety that involve me grabbing a loaf of bread, a jar of peanut butter and a few napkins on the way out the door. 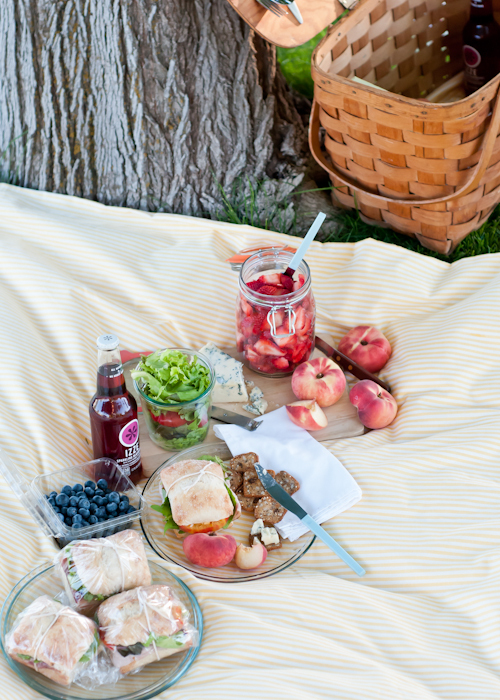 But sometimes I get it just right and create my own version of a dreamy and magical afternoon withe perfect picnic. So today, I thought I’d share my secrets for the perfectly planned, perfectly executed picnic. 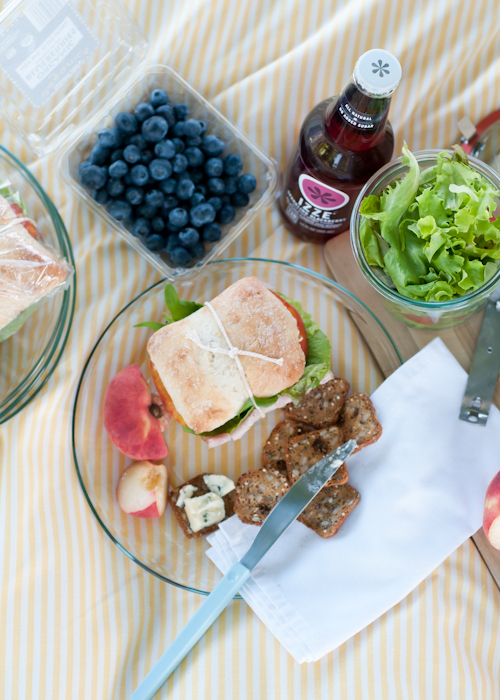 Secret to the Perfect Picnic #1: Planning the perfect picnic is just like planning a small, transportable party, and if you think of it that way, it will help you with the organizing. Thinking through the who, what, when, where, why and how will keep you from missing any details. Essentially, the ideal picnic is nothing more than choosing a great location, inviting a good group of people, bringing something to sit on, and packing some delicious food and drinks. 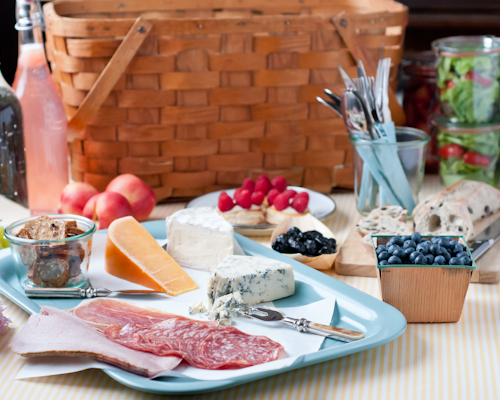 Secret to the Perfect Picnic #2: Start with choosing a location. That will help you determine the food and other picnic essentials you’ll need to bring along. You can hold a picnic practically anywhere! Isn’t that why they are so much fun? It could be in your front yard, at a local park, a beach (lakeside or seaside), in the mountains or at a campground, the middle of a metropolis, or the countryside. When deciding on the location, be sure to consider the on-site amenities. Because I’m a mom to young children, I’m always thinking about restrooms — where are they and how many? : ) But you might also want to think about the availability of running water, or if the location is easily accessible. Do you have to walk or hike a long way from the car? Will you be biking there? How many people are you bringing along? Do you need to make sure you choose somewhere that can accommodate a large group? If your dog will be joining you, is it a pet-friendly location? Those are the sorts of things you’ll want to keep in mind. 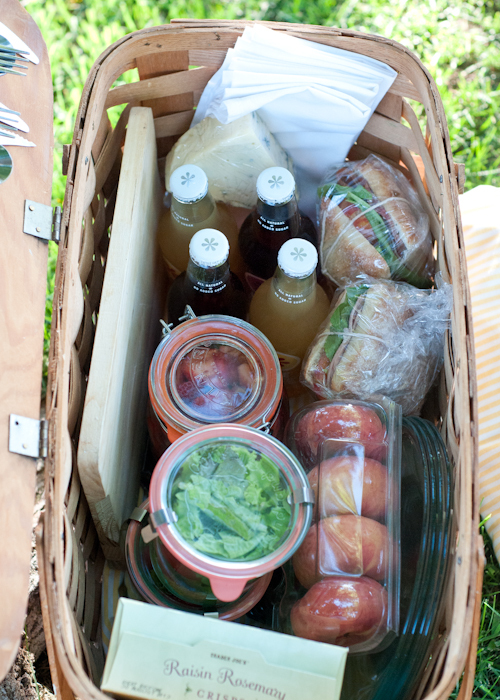 Secret to the Perfect Picnic #3: Don’t forget to consider the time of day. It’s another detail to take into account and can also affect where you go and what you pack. I love the idea of a morning picnic where I can enjoy breakfast foods in the cool morning. But I also like afternoon picnics when it’s warm outside and I can sit in the shade and enjoy the breeze. And we all know dinner picnics can also be fun, especially if you decide to bring a little grill along or build a fire to roast hot dogs. Secret to the Perfect Picnic #4: Assess any unique needs of your guests. When I plan a party of any kind, including a picnic, I try to think about who my guests will be and if there are any specifics I need to keep in mind. For instance, if I’ve invited Grandma, I’ll want to pack a folding lawn chair in my trunk so she doesn’t have to sit on the ground. If there are going to be a lot of younger guests, I will plan on bringing some kid-friendly food, activities and games, so they have something to do while the grown-ups are chatting. Or I might choose a location that’s near a playground. Secret to the Perfect Picnic #5: Once you’ve sorted out the location, think about what you’ll bring for guests to sit on. The grass is certainly fine, as is a nice flat rock or tree stump. Large beach towels, old tablecloths (the plastic ones work just fine! ), woven mats, blankets and quilts are great options. When we picnicked at the beach, we found that bringing a few woven mats was the best thing for keeping us off the sand — and keeping as much sand as possible out of the food. 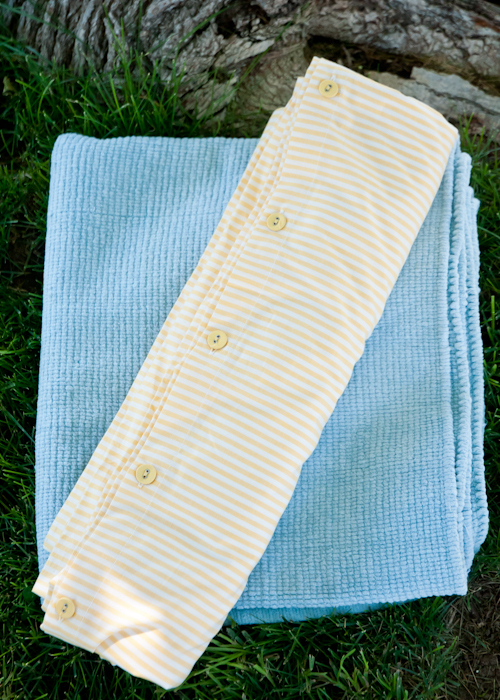 Something sturdier or waterproof might be in order depending on where you’ll be picnicking. Packing lawn chairs is also great if you’ll be somewhere where sitting on the ground might not be your best option. 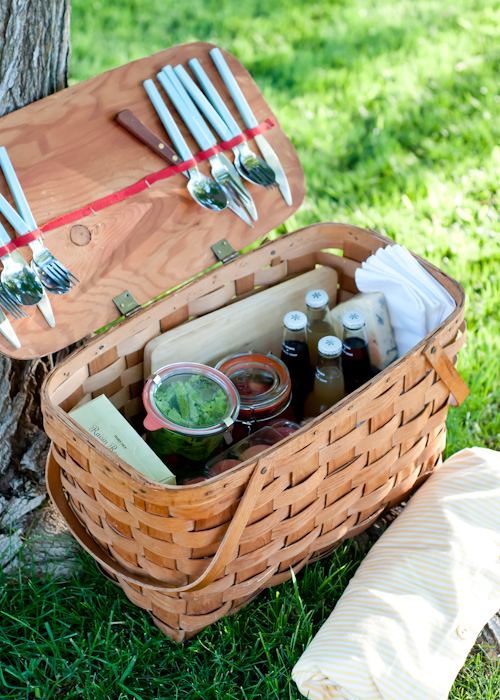 Secret to the Perfect Picnic #6: A picnic basket doesn’t always have to be a basket. Baskets are fun, coolers are practical, and plastic grocery sacks are inexpensive. What will suit the needs of your picnic best? Wooden crates are great for lugging around a heavy load. Or a stylish beach bag might be just the thing. My preferred carrier is a good, old fashioned wooden picnic basket. There are so many great options out there — you can even find great all-in-one picnic kits that makes things extra easy. Keep in mind that once you load up all that food in there, whichever container you choose will likely be heavy. If you’re going on a biking or hiking picnic, a backpack might be more handy than a basket. Now we come to the food, glorious food! 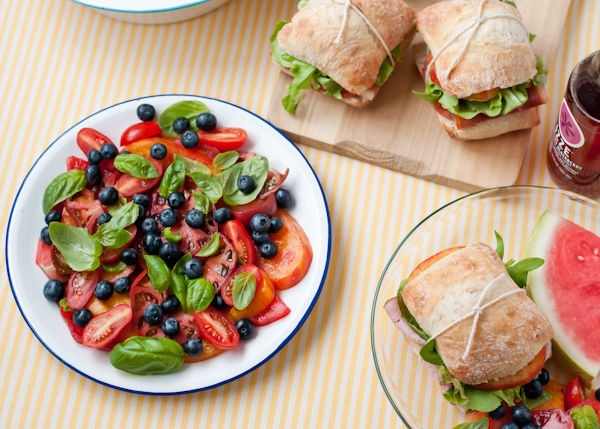 Simple or fancy — what will you be eating at your picnic? (This truly my favorite part.) Will it be a potluck for a sizable group of fellow picnic goers? Or are you imagining a romantic picnic for two? 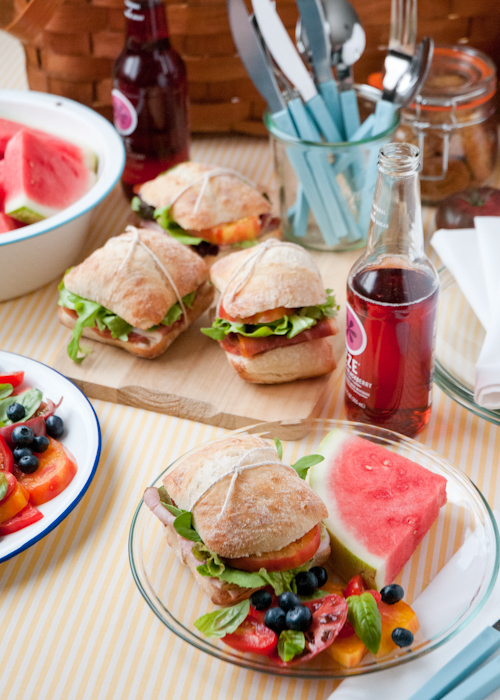 Are you heading up a the picnic for your child’s school class? Think about who is coming and where you’re going and that will help you determine what food to bring along. And there are so many picnic-friendly food options out there to choose from! What does picnic-friendly entail? Well, that can be different for everyone. We often like to pack cheese, cured meats, bread, and other finger foods because they are delicious and easy to pack and eat. I like to think of foods that can be easily eaten on a plate that’s sitting on my lap (so, not spaghetti), or out of a wrapper. These could be store-bought, or could be items I’ve packaged myself. While I personally may prefer to leave soup behind, you might love to pack gazpacho for your picnic and you’ll also know to pack cups for easy sipping. Sandwiches, hors d’oeuvres, and salads of all kinds are popular picnic fare. There are times when I think simple is better and times when I want to go a little fancier. Secret to the Perfect Picnic #7: Just remember that whatever menu you settle on, you’ll want to keep the food at the proper temperature to avoid food borne illness. Plan on bringing a cooler if you are serving salads with a mayonnaise dressing, with eggs in them, poultry or meat. 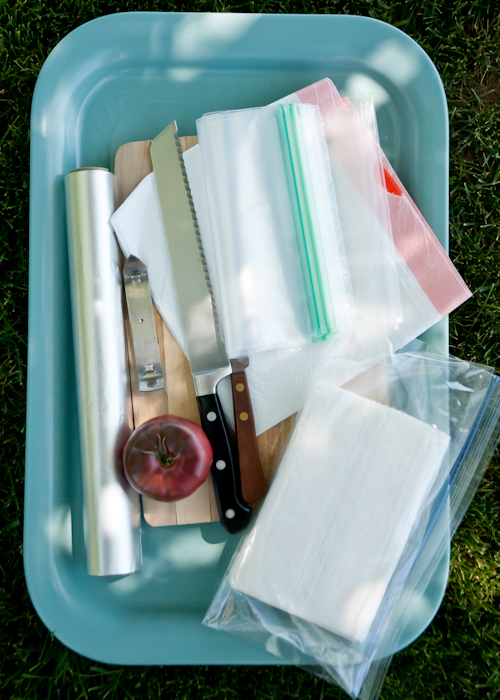 If you pack raw meat or poultry to cook on your picnic, remember to keep it packaged separately. Cheese fares pretty well, but you’ll also want to keep it cool if you have a long ways to go before it will be served. I usually bring ice packs along in any case. You’ll also want to keep any leftovers cold for the trip home. 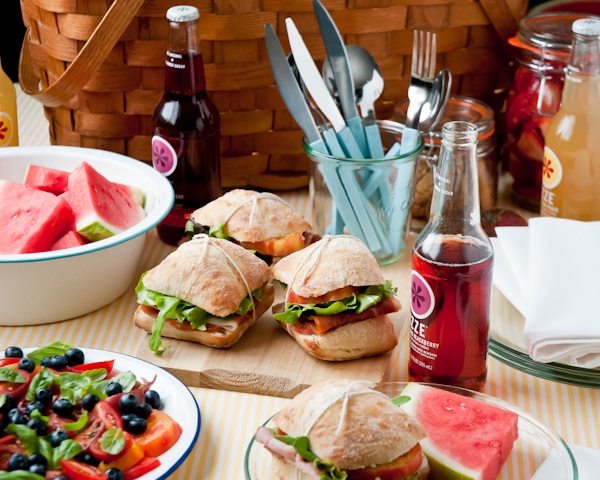 Secret to the Perfect Picnic #8: As for drinks, I recommend bringing bottles of your favorite soda, lemonade or water. Individual bottles means I don’t have to bring cups along, which is nice. And I can also distribute the weight of the bottles to make carrying in the food easier. 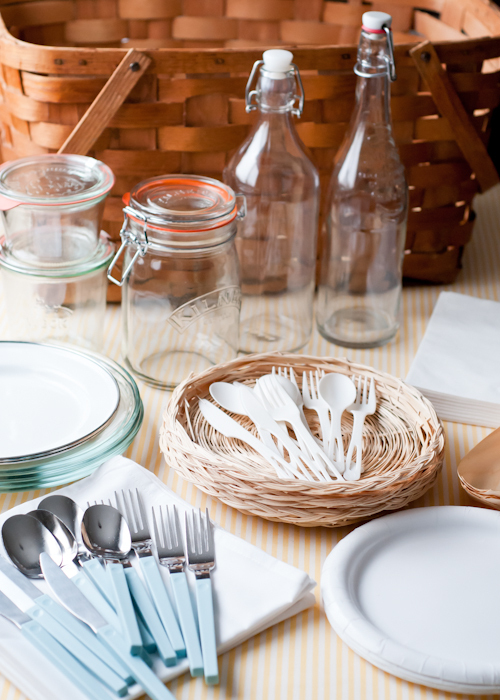 Secret to the Perfect Picnic #9: It’s nice to think ahead about how you want to package the food, and the eating utensils you’ll need to bring along. I like to use a combination of disposable and reusable containers, utensils, and plates for my picnics. Dishes — paper, bamboo, tin, or sturdy glass are nice. Cloth napkins add an elegant touch, but paper napkins are easier and don’t require washing later on. For flatware, I favor light-weight metal or disposable. Cups, bottles of water, soda, etc. 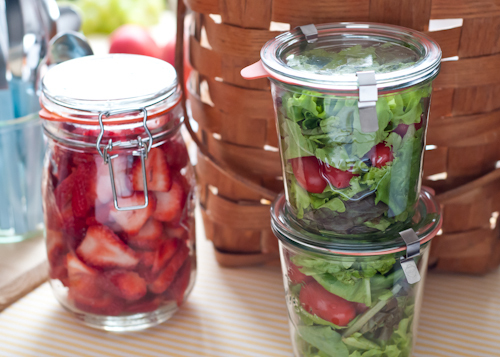 Jars come in handy for salads or desserts. If I’m adding items to our menu that aren’t as easy to travel with or pack, it just means I need to plan ahead and bring a cutting board and knife, etc. Secret to the Perfect Picnic #10: While we’re on the subject, there are some other things you might want to pack: insect repellant, sunscreen, hand sanitizer, condiments (salt and pepper especially), extra napkins or paper towels, and possibly matches for lighting birthday candles (one of our favorite reasons to picnic) or when we’re roasting hot dogs. And if you’re like me, you’ll probably also have some bandages and antibacterial ointment on hand just in case. A tray or two is nice for setting drinks on so they don’t tip easily. I always bring a few knives just in case for cutting up fruits and veggies, slicing cake or tarts. And bottle opener is a must for soda and other drinks. If your picnic will take place on a table, clips to hold down the tablecloth are something to bring. And a pop-up shade tent or umbrella is great for areas with little tree cover. 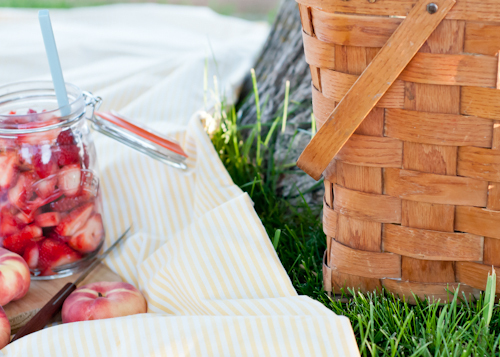 Secret to the Perfect Picnic #11: Plan for the end from the beginning. When I’m planning the food, I’m also planning the clean-up. I bring along extra resealable plastic bags, aluminum foil and plastic wrap for leftovers if I haven’t brought a container and lid. Baby wipes are always in my bag to quickly clean tiny (or big) hands. And I definitely bring along garbage bags so that I can leave my picnic area nicer than I found it. 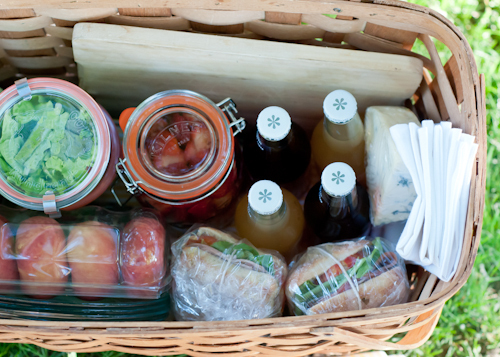 Secret to the Perfect Picnic #12: The last thing is to think about what you’ll be doing when you’re not munching. For me this is a good book or magazine, or a favorite playlist on my ipod. When I have the kids with me, I bring bubbles, balls and frisbees, kites, and other activities they can do outdoors. After all, the goal of any picnic is to have fun and relax. I think we’ve about covered every possible detail for the perfect picnic. Now it’s your turn. Where is your favorite place to picnic? And what are your favorite picnic foods? Will you be picnicking this summer? Maybe for the 4th of July? P.S. — Love secrets? You can find all of the Secrets To Living Well posts here. What a great article-you have covered everything. And the photos are fabulous! I want to go on a picnic right now-but it’s raining at the moment and forecast for most of the week! I have really enjoyed this serious of yours! Would you mind sharing where your tray is from? I have an orange one that I adore but can’t find one like it anywhere! Yours looks identical! Thank you! Thanks Anna! That fabulous tray is from IKEA. It’s my signature color (says my husband), so I had to have it when I saw it. Love the tips. I always think a bottle of bubbles goes down very nicely outdoors as well. 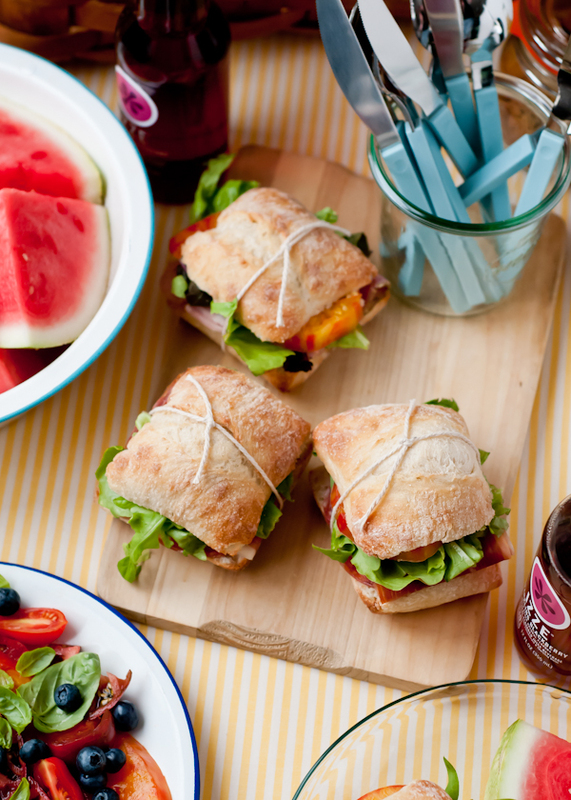 Your picnic looks like a true feast! You never cease to amaze me! Even when I don’t have time, just looking at the pictures is such a treat! And as busy as I am these days, this is the one blog post that I just can’t pass up! You always drag me in and I love it! Bisous! fabulous tips! 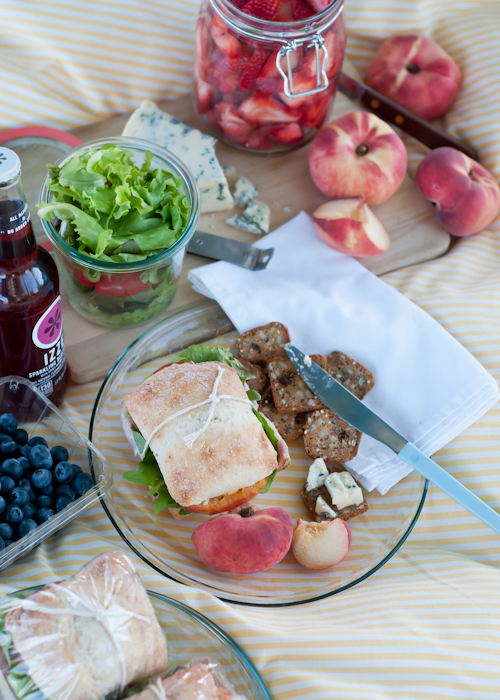 picnics are truly one of the best parts of summer. i love how you store and carry your cutlery on the lid of the vintage wood basket. genius! I loved this post, as we adore picnics and have them as often as possible. I just have to laugh a tiny bit about how the availability of special, beautiful, delicious, interesting and inexpensive food makes a huge difference and Trader Joe’s nails it! 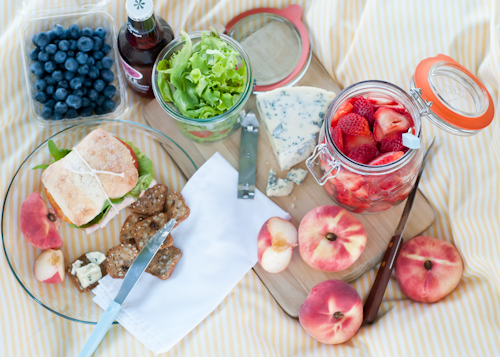 I recognize the majority of the food in your picnic from TJ’s (we picnic with a lot of the same things, cue 1000 day gouda and rosemary raisin crisps:) and being able to shop easily at one store makes the planning a whole lot easier. Lindsey this is the most beautiful post I have ever seen. Amazing! I love picnics! Can you tell me where you got that basket from/the glass jars you used? If the present comes as a astonishment, then all the better. surprise by twice wrapping it or better, providing 2 gifts, the 1st being somewhat of a decoy. Do Doctors Have Financial Relationships with the Pharmaceutical Industry. “According to the map, Mag, we need to go up Circuit Avenue to find the Camp. Fortunately, over the past decade, fisheries management and conservation measures along the Grand and Georges Banks have led to a slow, but steady improvement in codfish stocks. 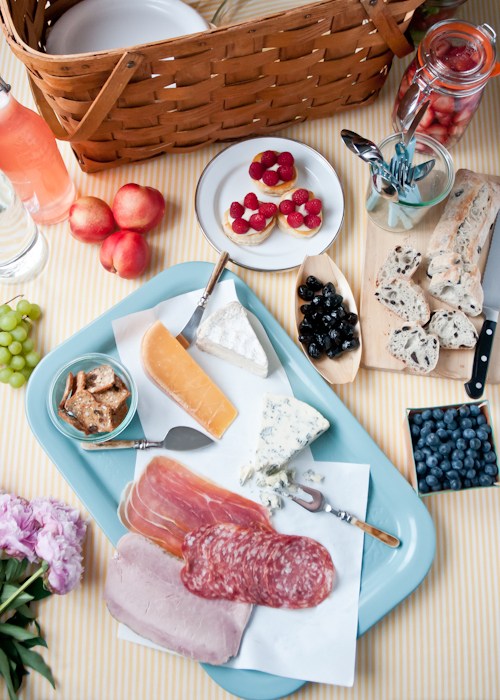 Your Guide To The Best Picnic Ever! browsing this site and reading very informative posts at this time. methods for example email and be willing to use direct mail. Very nice article. I like picnics because one will make the food without the other knowing. So it is a surprise! Also, the man carries the basked and the woman has the blanket to make her place on the site. I thought though it would be nice with some cold fried chicken and some wine to go along with the menu above. Have fun on your picnics! Hello I am Ladogana Raffaele and I would translate your interesting article for my blog that speaks Italian Picnic! Obviously in addition to insert your signature on the post also I put the direct link to your blog in order to bring followers to both. I love this post! I’ve been wanting to have a picnic party for my birthday for many years now, but I haven’t had the opportunity to before. However, this year it’s possible! I just need to plan it now. I was just wondering where you got your basket from? I’ve been looking around for a basket similar, but I haven’t yet found one I like. 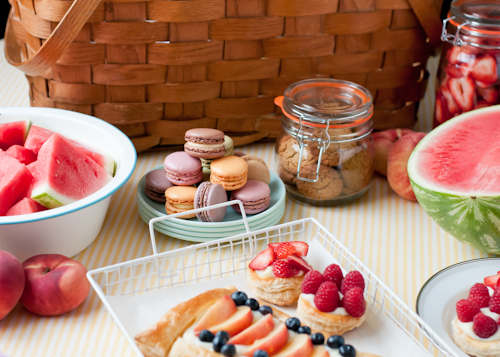 oh my goodness…….that picnic basket! I have the same one which was sent to me here in the UK by my aunt in America in the 1960’s. I kind of take it for granted…but not anymore! You have rekindled my love of it with your wonderful photos. I shall dust it off ready for the picnic I am making for my nieces birthday tomorrow which brought me to your post in the first place. Thank you for your inspiration! I love to picnic and you have wonderful creative ideas. When my son was young we would go camping and picnicking on the Oregon coast. This is our favorite place but this was back in the 70s. With the internet now it’s great to share ideas. I think your jars are a great way to pack food. I would not have thought using jars back then I just used Tupperware. My next picnic I am going to be creative and use the jars. Thanks. 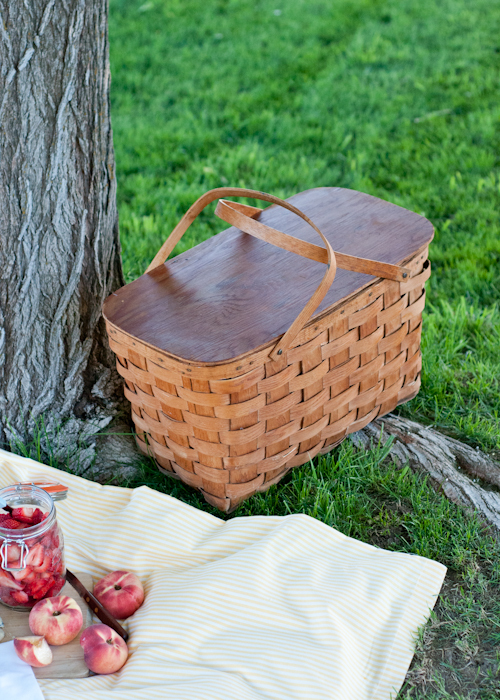 I love the woven wood picnic basket. My mother had a basket just like that one. I remember the wonderful picnics my family went on. Either up into the redwoods or on the ocean beach. It brings back wonderful memories. 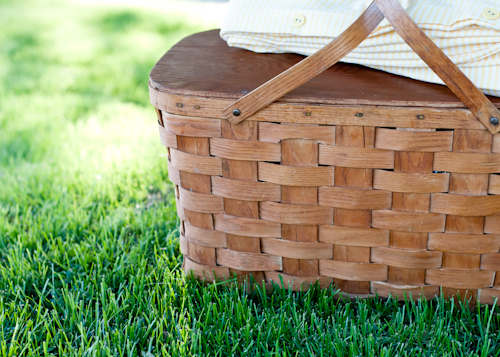 I love picnicking and take every opportunity I can to pack my basket. Really enjoyed reading your 12 secrets and think your pictures are great.